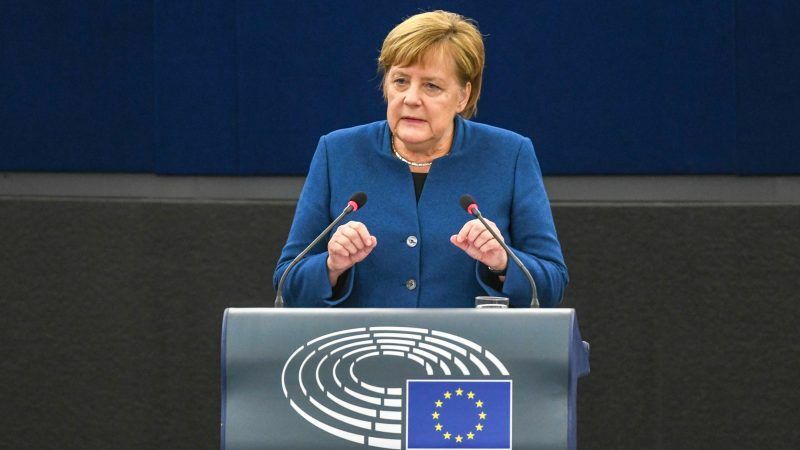 In an eagerly awaited speech on the future of Europe before what she called ‘the biggest democratic parliament of the world’, German Chancellor Angela Merkel called on Tuesday (13 November) for a “real, true European army” and a common asylum framework. Speaking to MEPs in Strasbourg, she, however, did not make any concrete proposals on the reform of the eurozone, in this regard leaving the field to French President Emmanuel Macron’s proposals. The picture of the German Chancellor and her French counterpart in Compiègne, jointly marking the centennial of the Armistice that ended World War One, has made headlines – and must have left a mark on Merkel. Recalling the lessons of the First World War and the divisions that led to the conflict, Merkel in Strasbourg endorsed the idea of a common European defence concept, clearer than she has done ever before. “We should work on a vision of one day establishing a real, true European army,” Merkel told MEPs during her speech, drawing applause – and booing – in the chamber. Although Merkel left open how such a step could materialise in practice, she backed the forming of a European rapid reaction force and a common arms acquisition policy. According to a previous French proposal, a small group of states could go forward and build up a powerful intervention force for crisis operations, for example in Africa. 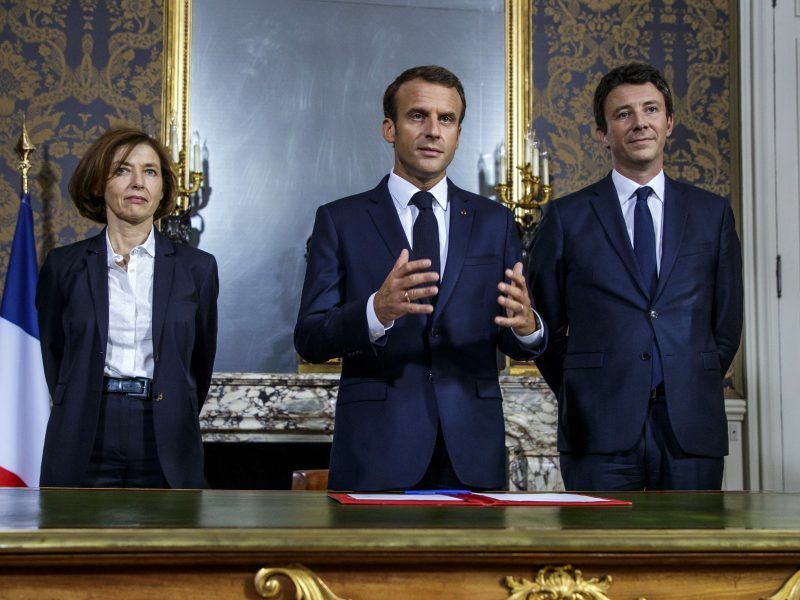 French President Emmanuel Macron called on Tuesday (6 November) for a “real European army” to allow the bloc to defend itself against Russia and even the United States, a hugely sensitive idea amongst EU nations which jealously guard their defence. “The times in which we could fully count on others are somewhat over. That means that we, Europeans, have to take destiny into our own hands.” With this, she repeated her extraordinary sentence, spoken last year after talks of European leaders and US President Trump at the NATO summit and the G7. With her clear support for a European defence initiative, Merkel strongly chose her side in the dispute between Macron and Trump, who criticised the French idea of a European army as “very offensive” to the US. In regard to the EU’s foreign policy, the German chancellor called for more coordination, repeating the idea of establishing a European Security Council with rotating presidencies. Europe must be enabled to act in the long term, demanded Merkel and stated that the EU would have to forego unanimity where the treaties made it possible. Recently, SPD leader Andrea Nahles and Merkel’s possible CDU leadership successor, Annegret Kramp-Karrenbauer, also called for a common European army, adding more evidence that the political environment in Germany is shifting away from a more hesitant stance towards European foreign and defence initiatives. Commenting on migration, Merkel called for a strengthening of European institutions in the field of border protection (Frontex) and asylum. The Chancellor defended the opening of the borders and said Europe must find common ways of dealing with migration, calling it a “European duty”. “If everyone keeps their national jurisdiction and no one wants to give some responsibilities to the European border patrol, then no matter how big and good it is, it will not be able to do their job,” she warned. On this issue, member states should be able to leave some of their national juridictions, she added. Merkel also called for a common European asylum procedure. If everyone makes their own decision, it will not be possible to manage the migration flows and the integration of refugees, she stressed. “Europe is not so united as I wish it would be,” she said. “We made some progress and we all agree that we should have a common border control,” she told MEPs, adding that it was a bit thoughtless that Europe created the Schengen zone without setting up a register of who is entering and leaving the EU. Merkel spoke of the migration issue shortly before MEPs were to debate the UN initiative for a global common approach to managing migration flows. Austria, which currently holds the rotating EU presidency, and Hungary have announced that they would back out of the Global Compact for Safe, Orderly and Regular Migration. The Czech Republic, Poland and Bulgaria are also considering whether they should be involved in it. The pact, which is not binding, is meant to be adopted in Morocco in December. In her speech, Merkel emphasised the need to strengthen the EU’s economic power, underlining that economic success forms the basis of Europe’s strength and is the prerequisite for the block to be heard in the world. “We should emphasise our effort in order for Europe to take the lead again, we have a strong industrial basis, and we can build on that, with a strong focus on research and innovation,” Germany’s chancellor said, pointing out that most innovation now comes from Asia. “If we are not strong economically, we will not be politically influential,” she stressed. This includes a stable economic and monetary union, further development of the European Stability Mechanism, completing the banking union as well as setting up a eurozone budget, she specified, adding that the first results should be visible by December. “I am deeply convinced about our European social market economy, but we have to create wealth first and only then can we distribute it,” she continued. On the digital tax, she said it is not a question of “if” but a question of “how” Europe will design a digital tax. She did not detail her idea. 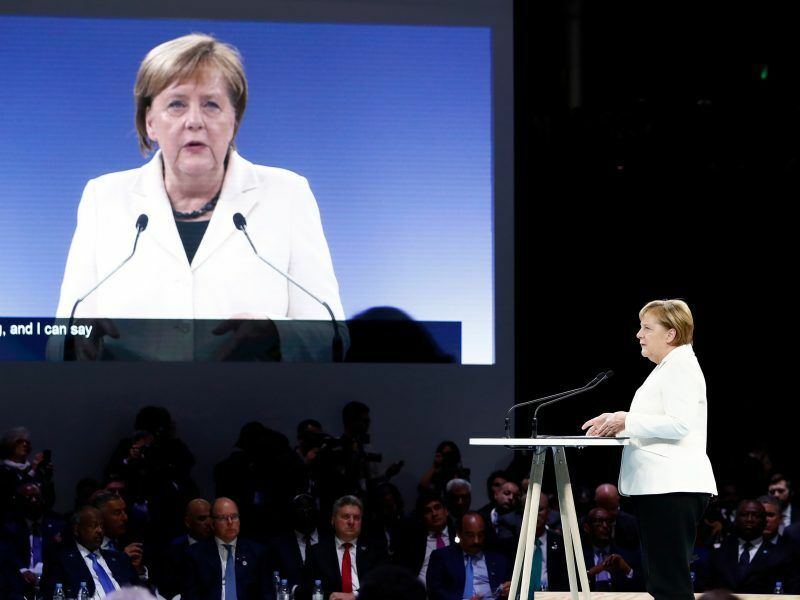 The leaders of Germany and France called for a unified approach to fostering world peace at a forum in Paris on Sunday (11 November) that was attended by dozens of heads of state and government with one notable exception: US President Donald Trump. The Left and the Greens were the most critical of Merkel’s view on the EU’s economy. “Europe needs strict measures to stop the tax dodging by multinational corporations. We can use the billions lost to evasion and fraud to fund projects that are desperately needed,” said Gabi Zimmer, chairwoman of the GUE/NGL (Left) group. Ska Keller, the co-chair of the Greens, called for a reform proposal that would put an end to social cuts. “For eight years we’ve known the eurozone isn’t as stable as it should be. Social cuts won’t stabilise Europe, they will only divide it! You and other leaders need to come up with a proposal for reform,” she said. This could prove controversial enough in Ireland to drive serious euroscepticism, in a way that has never existed there to-date. The timing of this push is incredibly poor given Brexit and all sorts of other issues that are pulling at the threads that hold the EU together. Germany has promised to have 120+ fighters ready for NATO… but only 4 are flight capable (and they’re old EuroFighters, build for the cold war). Of the 50 tanks they were supposed to come up with for the Baltic force, 9 could actually drive. Their frigates are not seaworthy, their heavy transport planes not airworthy, and the picture is the same across the board. If Putin decides to go west, he’ll have a fight in Poland, but once he reach the German border he’ll have an easy time. Merkel should be reminded to think globally, but act locally. If somebody wants to go ahead with initiatives like common army, common refugees… They can go ahead on bilateral basis. It is also important to investigate what can be done to balance the trade of Germany.